We are some of the best known leaders in franchising, having founded or led brands like Subway, Dunkin Brands, The UPS Store, Valpak, Service Brands International, Servicemaster, FranConnect and others. Joe Bourdow is a Partner with Premier Franchise Advisors and has a forty –five year business career that includes significant experience as a successful franchisee and franchisor. Joe joined Valpak in 1978 in Richmond, Virginia becoming a multi-unit Valpak franchisee in the early 80’s. He was also one of the first Fastsigns franchisees before being recruited to the Valpak Home Office as a senior executive in 1991. 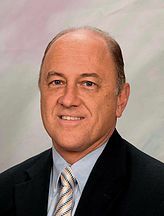 He served as President of Valpak Direct Marketing Systems during 13 years of dramatic growth until his retirement in 2010 after a thirty-two year association with the company. Joe also served as Executive Vice President of Valpak’s parent company, Cox Target Media, from 2001 until 2010. Joe served two terms on IFA’s Board of Directors, was Chair of the IFA Diversity Institute, member of the IFA Education Foundation Executive Committee, and was Vice Chair of the Franchise Relations Taskforce and is part of the team that has presented the ICFE “Fundamentals of Franchise Management” day long class, presented each year prior to the IFA Convention, for the past seven years. Joe currently serves on Advisory Boards for Benetrends, Melting Pot Restaurants, College Hunks, Big Frog Franchising, Murphy Business and Financial Corporation, and the Spice and Tea Exchange as well as technology startups Davo Technologies and ResolvNow. Joe is the immediate past Chairman of the Board of Trustees at Academy Prep – St. Petersburg and an Advisory Board Member for both the St. Petersburg Free Clinic and Pinellas Habitat for Humanity. In 2012, Joe founded an independent radio network to carry the East-West Shrine Game – a primary showcase for the National Football League benefiting Shriners Hospitals for Children played annually in St. Petersburg. The Network has grown to over 175 radio stations nationally. Joe’s annual broadcast is also carried live by the SiriusXM “NFL Channel” with additional online and mobile distribution. In addition to the Shrine Game broadcast, Joe operates a local online radio station, RadioStPete.com and is called on to fill in as a Minor League Baseball play-by-play voice from time to time. Joe is a graduate of T.C. Williams High School – remembered for the hit movie “Remember the Titans” where he served as student body president just two years before the legendary championship season portrayed in the movie and is an alumnus of the University of Virginia in Charlottesville. Joe is married to Marylou Bourdow and lives in North Redington Beach, Florida. They have three grown children. 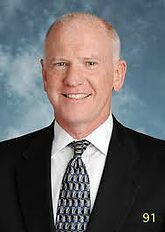 Tom Coba is a partner with Premier Franchise Advisors and has a compelling leadership record in hospitality (Previously as Chief Operations Officer of 37,000 Subway restaurants in 99 countries) and more recently in the service sector as President/CEO of 5 service brands in residential and commercial sectors. With his core strength in operations and development, Tom also led franchising, marketing, strategy, training, technology, construction and sales. His deep QSR experience, leading multiple concepts simultaneously, private equity and board experience, and the ability to transition from Restaurant and Hospitality to Consumer and Commercial services all line up well with his leadership capability in global, highly successful Franchise brands. His most recent role was President/CEO of the $2.6B Franchise Services Group of the ServiceMaster company where he led five of their brands. Tom’s business success in the Franchise Services Group contributed to positioning ServiceMaster in a successful IPO in 2014. As leader of 5 Market category leading brands with a mix of Franchise and Company operations, domestically and Internationally in 21 countries. Within the portfolio were ServiceMaster Clean, ServiceMaster Restore, Merry Maids, AmeriSpec (home inspections), and Furniture Medic. Previously, Tom was Chief Operations Officer globally of Subway Restaurants, reporting to the Founder and Owner. During his seven-year run, Subway grew from $8 billion to $16 billion in Sales in 99 countries. Tom led field and store operations, equipment and décor, global training, customer care (call centers), franchisee services, retail technology, POS, and a software help desk. Tom also collaborated with Marketing and Advertising to develop the best Marketing & Advertising strategies to build the brand and launch new products. Specific initiatives included health messaging with low fat sandwiches, toasted sandwich roll out, the launch of the $5-foot-long and the implementation of the breakfast menu in USA and Canada. Tom led a redesign and remodeling initiative, put in new operating systems, new business intelligence software and profitability tools, new online training in multiple languages and worked closely with the franchise councils and committees on marketing, advertising and R&D/product development. During his tenure at Subway, the chain had seven consecutive years of same store sales & profit growth. Tom’s prior experience was with other global leading brands including Dunkin’ Donuts, Baskin Robbins and McDonald’s. Through a long tenure with the Dunkin’ Brands organization, Tom moved through operations, real estate & development, franchising, training, marketing and strategic planning roles at one time leading the Northeast market with 950 locations and $800M of sales. And before his transition to Subway, he was Vice President, Franchising and Business Development, leading all franchising in the United States and Canada in addition to all non-traditional development in venues such as airports, train stations, Supermarkets, big box retailers and college campuses. He worked across three brands; Dunkin’ Donuts, Baskin Robbins, and Togos, and was involved in their early co-branding efforts. He also led the reconcepting strategies for the Dunkin’ Donuts and Baskin Robbins brands and partnered with McKinsey Consulting on a project to integrate the two brands strategically & organizationally. Tom’s early days of Franchise operations and hospitality were in the McDonald’s brand as Director of Operations in the Boston area. Tom holds a BS degree from Tufts University. Stuart Mathis is a partner with Premier Franchise Advisors. He is a recognized leader in franchise management with more than 25 years of experience operating, expanding and restructuring well known franchise brands. As a senior level executive with an extensive financial background, he has been a key participant in multiple turnaround scenarios which increased shareholder value through consistent sales growth, improved profits and new unit expansion. From 2012 to 2015, he was President and CEO of Quiznos, where he overhauled the company’s distribution model to reduce costs and improve unit economics, improved franchise relations, and led the highly levered company through a successful restructuring. Prior to Quizno’s, he served nearly 10 years as President of The UPS Stores and led the rebranding of the domestic network from Mail Boxes, Etc. He also held various executive positions over a fourteen year period at Domino’s Pizza, where he led growth efforts, implementation of new technologies, training programs, and was part of the team that facilitated the eventual sale of Domino’s Pizza, Inc. to Bain Capital. In addition, he served on the board of directors for the International Franchise Association for 5 years and he currently offers consulting and advisory services to franchisors and private equity firms. David McKinnon is a partner with Premier Franchise Advisors and is the past Chairman and Co-Founder of Service Brands International (SBI), past CEO and Co-chairman of PuroClean International. Through SBI, and with his partners, McKinnon created or acquired franchise brands in the service sector. His portfolio of companies included Molly Maid, Mr. Handyman, Protect Painters, and PuroClean. Alumni SBI brands include 1-800-Dry-Clean, Ductz International and CRDN (Certified Restoration Dry-cleaning Network). In June of 2015 David and his partners sold Service Brands International to The Dwyer Group out of Waco TX. 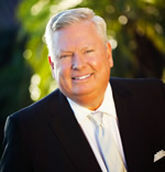 David is an investor in The Dwyer Group and serves as Senior Advisor to the Board. Recognized as an industry leader in business and franchising, McKinnon has received many awards over the years including The International Franchise Association’s prestigious Entrepreneur of the Year Award, the Blue Chip Enterprise Award, and Crain’s Detroit Business “Top 40 Under 40” entrepreneurs in the state of Michigan. In November of 2013 he was inducted into the Entrepreneurship Hall of Fame along with Oprah Winfrey, Steve Jobs and Ben & Jerry. Today, as Chairman of TriniD Enterprises, David works to build out the business intelligence network of the company and advises the CIO on strategic, financial, and other matters. TriniD Capital focuses on a long-biased, private approach to investing capital at the intersection of business strategy and behavioral economics. Through TriniD Ventures, David invests in early stage (post revenue) businesses that have high growth profitability futures. David is a techie! His love of Apple products and leading edge technologies is well known among his family, friends and partners. Other personal interests include: pickleball, golf, music, cooking, photography, gin rummy, backgammon and cribbage. David and his wife Karen have two grown children, four grandchildren and live in Stuart, Florida. Amit Pamecha is a partner with Premier Franchise Advisors and is the past CEO and Founder of FranConnect, the world’s largest software technology firm serving over 600 franchise brands. Amit is also a serial entrepreneur, investor, founder and managing partner at AMVA Partners - an investment firm focused on healthcare and franchise investments that provides strategy, capital and advisory services to help companies achieve faster growth. 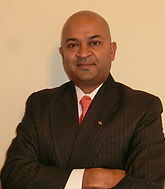 Amit is also the Founder and Board Member of FranConnect. Amit launched FranConnect in 2001 as a SaaS software company, without any background in franchising and without any venture capital and made it into the largest SaaS based franchise software solutions provider in the world servicing over 600 franchise brands. As part of FranConnect, Amit has personally worked with over 400 Franchise organizations, is a frequent speaker on franchising and entrepreneurship and is author of the book, “Achieving Franchise Sales Success”. Amit serves on the Supplier Board of the International Franchise Association and is a Certified Franchise Executive (CFE). Amit is also a member of the Young Presidents Organization (YPO) and is a board member at Spice and Tea Exchange. Prior to FranConnect, Amit was the Co-founder and CTO of Zgraffiti, a comparative shopping platform. Amit has a MS in Robotics from Johns Hopkins University and a Bachelor of Technology from IIT Delhi. Amit also holds patents on Public Key Infrastructure and is the author of several research papers on Metamorphic robots.